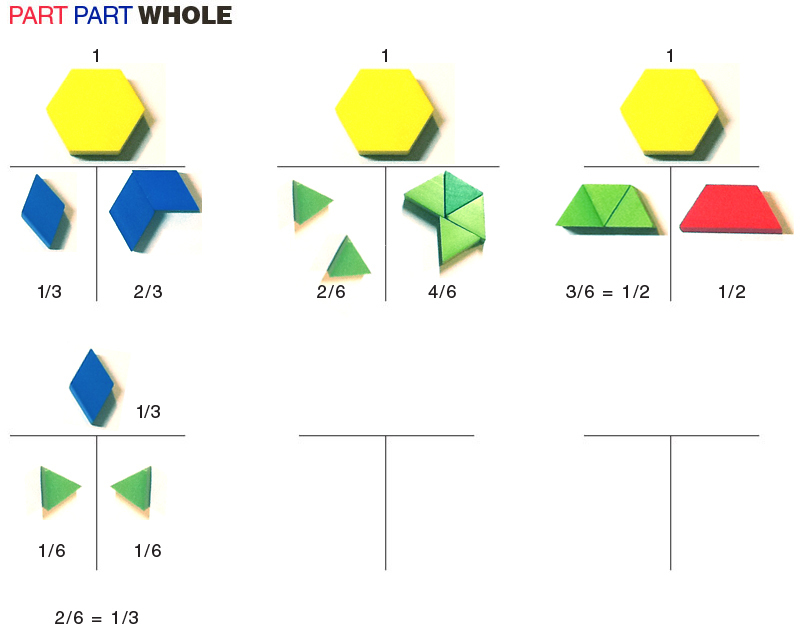 Teacher Blogspot simplified fractions for students with the use of pattern blocks! I really like this idea. So, I turned it into a part, part, whole activity! Check out Illuminations and Cynthia Lanius for free printables to go along with this lesson! For younger kids, check out Joyful Learning in KC's Eric Carle Math with pattern blocks! Use pattern blocks for missing addends, click here and scroll down! Click here to see this activity with coins!